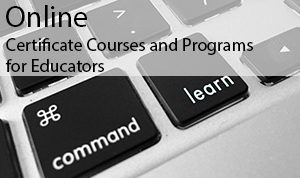 Next full-time TESL Diploma program begins May 13, 2019. Now accepting applications and registering! 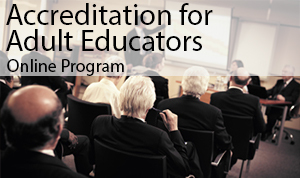 Certificate in Adult Education nationally recognized by the Canadian Society for Training and Development. Adult educator certification for anyone who plans, administers, delivers training and education to adults. 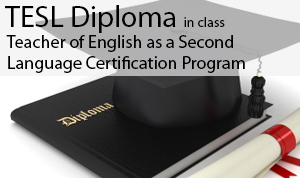 Become Certified to Teach English as a Second Language to visitors and newcomers to Canada… or go abroad and travel the world! Recognized by both TESL Ontario and TESL Canada. Edupreneurship, Curriculum Development, Teaching TOEFL and IELTS, Teaching and Designing an Online Course, Exam Invigilation, Teaching English for Special Purposes and more!